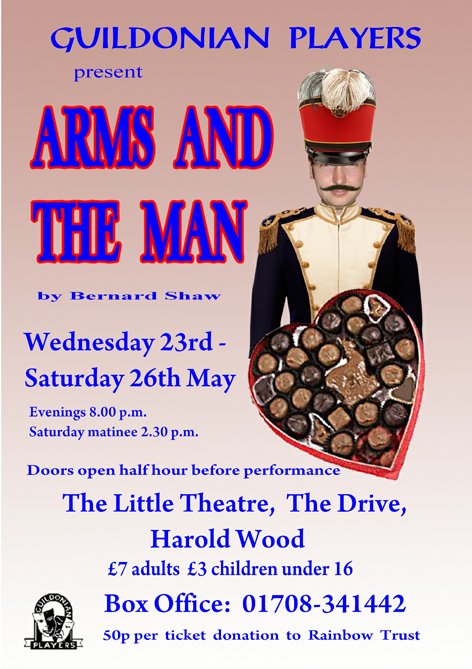 ARMS AND THE MAN TICKETS now on sale! Tickets are priced £7 or £3 for children under 16. Performances 23rd-26th May at 8pm, with additional matinée on Saturday 26th at 2.30pm. Follow this link for press coverage.